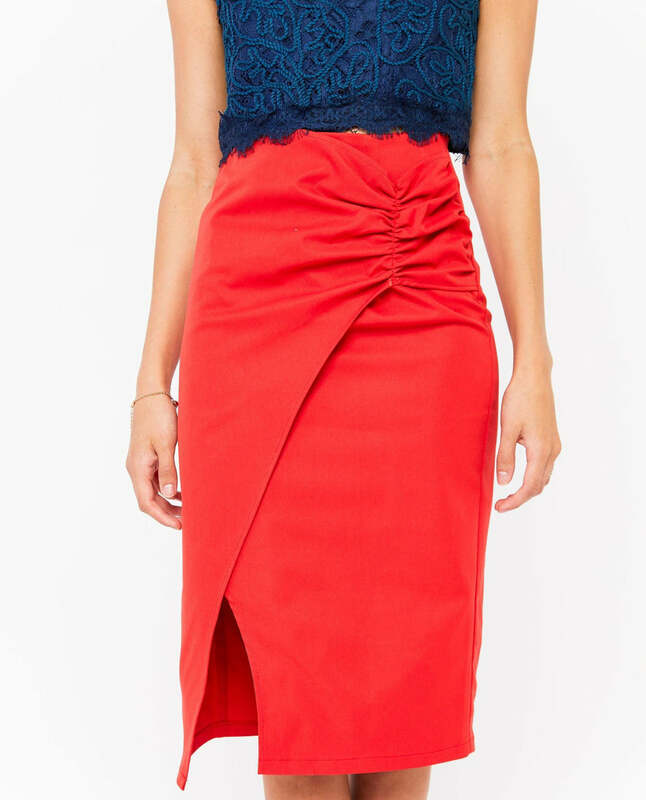 Featuring ruched up details at the side, this bandage skirt gives shape for a curvey cinched silhouette. A little bit of oriental origami hint for an elevated 9 to 5 staple look. The side slit accentuates the legs for an elongated sensual touch. Slip on your favorite blouse and throw on your go-to heels and you are ready to channel your inner workaholic chic. XS: 26.75" x 12.5" x 17"
S: 27" x 12.75" x 17.5"
M: 27.25" x 13.5" x 18.25"
L: 27.5" x 14.25" x 19"